I LOVE coffee, but with summer here hot coffee is a little less appealing. 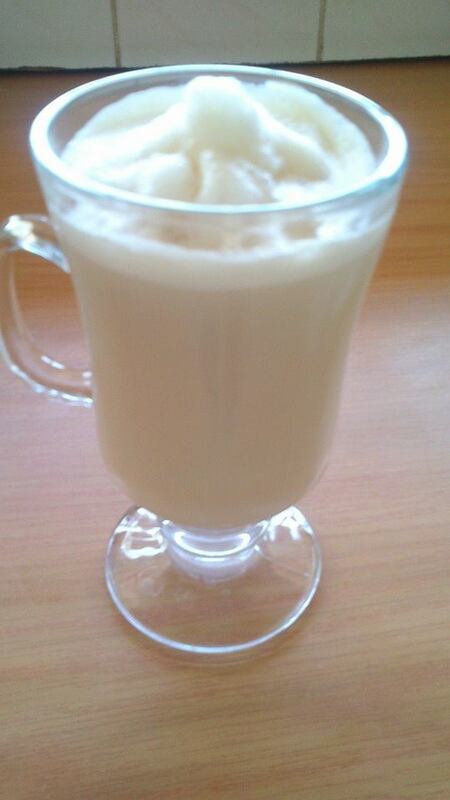 I wanted to make an iced latte but did not like the idea of diluting the coffee with ice blocks to make a conventional iced latte, after much searching on the web I still could not find something which fitted the bill. This is a sort of iced latte crossed with a coffee milkshake. I use the ice cream to give the sweetness instead of sugar, it also gives a bit more body. If you want to give it a bit on an edge, add a dash of suitable liqueur. Sally Williams nougat liqueur would work well, I have made them with coffee liqueur which was pretty yummy. Hmmm… I should try this. Can never get enough of latte’s. my guilty pleasure.